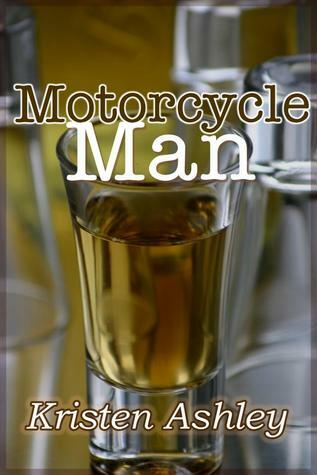 Although Kane “Tack” Allen colors Tyra Master’s world with a vibrancy that’s blinding, being with him means she has to live in his Motorcycle Club world. Full on, no holds barred. And since Tack’s world, not to mention Tack, is a little scary, Tyra isn’t so sure. It’s Tack’s job to convince her. I kept hearing good things about Kristen Ashley, so when Mandi from Smexybooks raved about this one at twitter, I decided to give it a try. After reading it, I can understand why Kristen Ashley is so popular. I enjoyed reading about Tyra’s plunge into the World of Chaos. Both Ride and Chaos felt believable in many ways. Both when it came to their attitude towards women, and also the dangers from the slightly shady world they live in.Just as Chaos balance the fine line of keeping clean, this book manage to stay out the misogynic mire. And that is because of Tack. Tack is a jerk, occassionally, but the reason is that he wants to protect Tyra and his children. And, I loved Tabby and Rush, they were so typically teenagers, with their drama, and mistakes. But, of course everything isn’t perfect. Naomi, Tack’s ex wife, hit the roof when she found out about Tyra and Tack’s relationship. Which, I felt, was as it should be. Tack hadn’t been a saint, and he admitted it. Tossed into that story, was the threat of the Russian Mob looming over them. I loved how the author woved it into the rest of the things going on in the novel. What made the book for me was how the author mixed everything. Tyra’s uncertainty, furious ex-wife, dramatic teenagers, rebellious Chaos members. And keeping it together was Tack. He was tender and patient with Tyra and his children. He was harsh with Naomi, and the Chaos members. So for what I didn’t like. The biggest problem I had with this novel, was the author’s tendency to use 10 words when one would be enough. At times, I wondered what the characters were talking about, which isn’t a good sign. This became even more obvious when they confronted the Russian mob, because those pages crackled with tension. This, gives me hope that Kristen Ashley’s Chaos Series which will be published by Grand Central Publishing during 2013, will be much more polished. One minor quibble: The Russian mobsters mentinoed by name, their surname ends on -ova. Which, is the ending that signifies FEMALE surnames in Russia. And those characters are male..